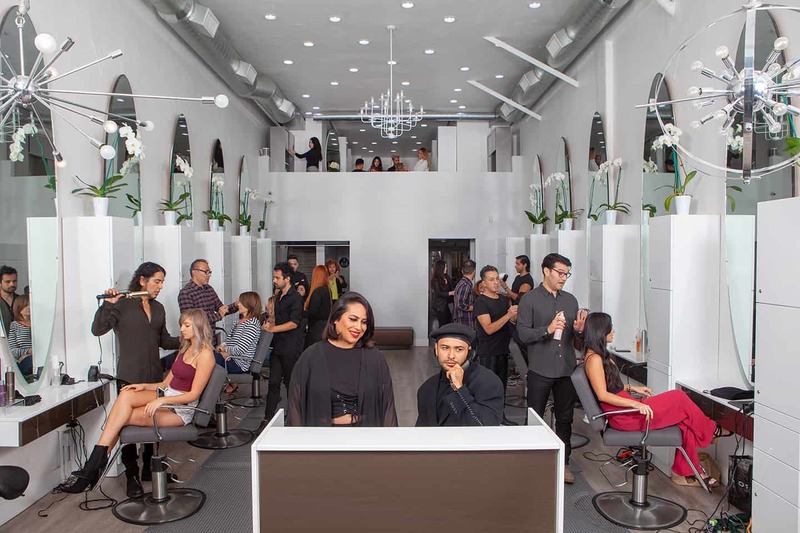 Top Celebrity Hairstylists Philip Carreon and Robert Ramos formed Ramos Carreon as their new branding derived from their 28 year reign as famed Estilo Salon. We are the Originators to the Los Angeles neighborhood district known as Beverly Grove. At Ramos Carreon we really care. Our team diligently strives every day to create a superior Customer experience for you. We are in the business of making people feel good. Our Staff is highly trained in all aspects of hairdressing. As your Chosen Stylist, we listen, then give you the best advice to enhance your Personal traits via haircuts, color, smoothing and all hair services.